CHIAVARI, - Italy – This is a story about pasta. Pasta is the generic name of the flour and water (and sometimes egg) dough that lends itself to many shapes and names, one of which is macaroni. So while all macaroni is pasta, not all pasta is macaroni. Spaghetti and rigatoni are also pasta, but pasta is more than just macaroni, spaghetti and rigatoni. Marco Polo generally gets the credit for introducing pasta to his fellow Italians. The story is he brought the idea back to Italy from his Asian travels in 1292 AD. But the truth is the origins of pasta in Italy go back to the days of the ancient Romans who gave the credit to the Gods. They believed that pasta was invented by the Roman God of fire, Vulcanus. While I’m the first to admit that pasta can indeed be heavenly, I’m not 100% convinced it is true. What is true is that even the ancient Greeks ate pasta. 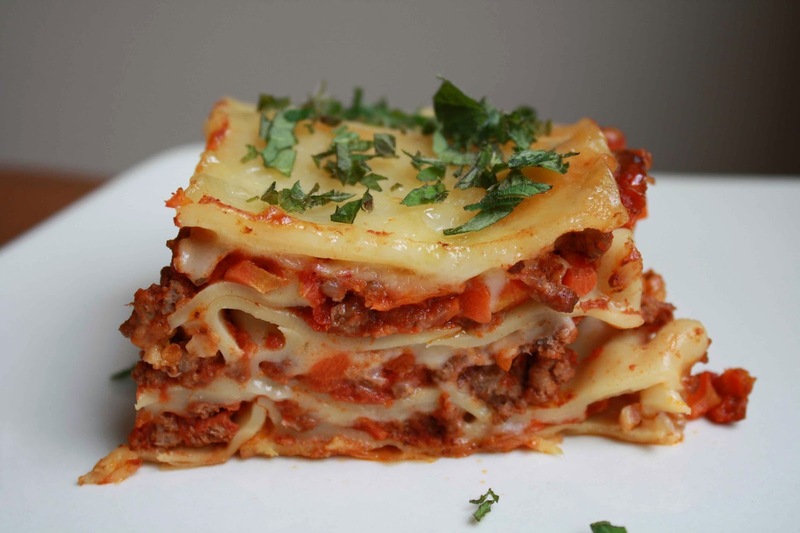 One type they liked was a broad noodle called 'laganon' which sounds a lot like lasagna. The only difference is the Greeks didn’t boil their pasta, they cooked it on hot stones or roasted it in ovens and ate it like pizza. I guess that’s why when people eat pasta today, it’s not Greece they think of. The first record of noodles cooked in boiling water is in the Palestinian Talmud, written in Aramaic in the 5th century AD. The word used for noodles back then was itriyah. In Arabic this word refers to dried noodles. 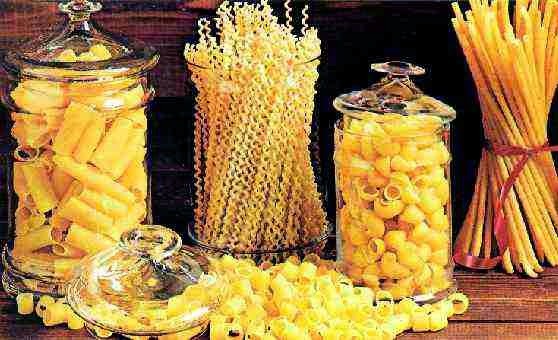 It is quite possible that pasta was brought to Sicily as a food supply by the Arabs when they were conquering the island. An Arab geographer, Al Idrisi, later wrote that a flour-based product in the shape of strings was produced in the Arab colony of Palermo. Even now, thousands of years later, Palermitans are still making flour based products in the shape of strings, but they don’t call them strings any more, they actually have a lot of different names for them. They also cook them in a variety of ways and one of them is strings with chickpeas which is also known as vermicelli Tria. Names of things do change over time. 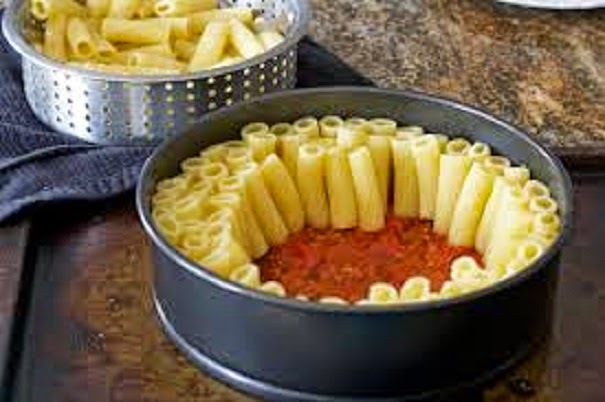 For example, it is quite probable that the Sicilian word "maccaruni" which translates as "made into dough by force" is the origin of the word macaroni. Also the meaning of the word “force” has changed. 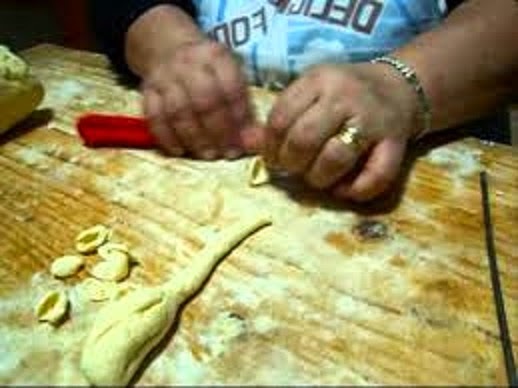 In Sicilian it used to mean kneading dough with the feet, which is how they used to make pasta dough back in the 1600’s. The pasta maker sat on a long bench and used his feet to mix and knead the dough, a process that took an entire day. Then, Ferdinando II, who was the king of Naples at the time, hired a famous engineer to come up with a better system. Perhaps the King wasn’t fond of the “ode d’ stinky feet” left behind using the “force” method of kneading. The engineer got busy and worked and worked on different designs, after all he couldn’t say no to the King. It took a while but he finally came up with a kneading machine made of bronze, and the guy kneading the King’s pasta dough by foot retired. Recipes from the 15th and 16th centuries advised chefs to cook macaroni in fatty meat broth or on meatless days, in salted water made more flavorful by adding fresh butter, sweetened almond milk or goat's milk. Initially, chefs seasoned pasta with butter, cheese, sugar and cinnamon. Then something changed. Instead of sweet pasta, cheese became the topping of choice. In 1584, the author Giordano Bruno quotes a Neapolitan saying, " è cascato il maccarone dentro il formaggio " (the maccherone has fallen into the cheese). Fast forward a hundred years and tomatoes are still not the first choice of pasta eaters. In Naples, which would soon become the home of macaroni with pummarola (tomato sauce), they were still eating pasta with a sprinkling of cheese. There are photos taken in the early 1800’s showing street stands with large cauldrons of hot water used to cook macaroni and pyramids of freshly grated cheese speckled with black pepper. The cook would lift the macaroni out of the boiling water with a fork and immediately shake a handful of cheese over it. It was street food Neapolitan style that you carried off in a paper cone and ate with your fingers. Tomato sauce or “sughillo”, meat sauce, with or without tomatoes, was a luxury few could afford. So that’s the story. 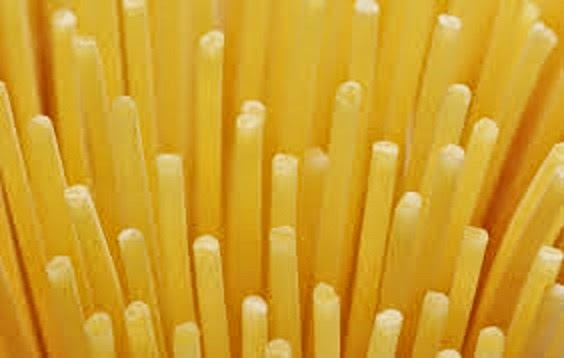 Pasta is not some la dee dah yuppie name for macaroni or spaghetti, pasta has actually been around longer than either one of them. Today, here in Italy, you can buy pasta for pizza in the supermarket or at your friendly fornaio, for pasta is, and always has been, that magical mix of flour, water (and sometimes eggs) that can be transformed into hundreds of fanciful shapes and served in so many ways that it boggles the mind.